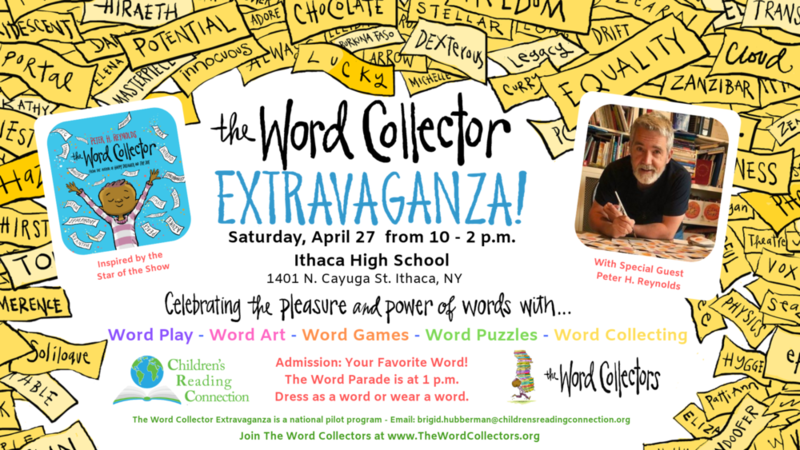 The inaugural Word Collector Extravaganza event will be held on Saturday, April 27, 2019 from 10 - 2 p.m. at Ithaca High School, 1401 N Cayuga St, Ithaca, New York. Brigid Hubberman, founder of Children’s Reading Connection, is spearheading the national pilot program built around The Word Collector by Peter H. Reynolds, in collaboration with The Reynolds Center, for Teaching, Learning, and Creativity. "So much more than a wonderful children's book, The Word Collector is an anthem, a call to action, and a road map for all of us to help children understand the pleasure and power of words and word collecting." says Hubberman about the importance and potential of the book as a catalyst to start a national word movement. New York Times best-selling author/illustrator Peter H. Reynolds will kick-off the event at 10 a.m. with a book reading followed by book signing. Special shout-out to Ithaca's own Independent bookseller Buffalo Street Books, for joining the day to provide books by Peter H. Reynolds for all of his fans. The Word Collector Extravaganza! 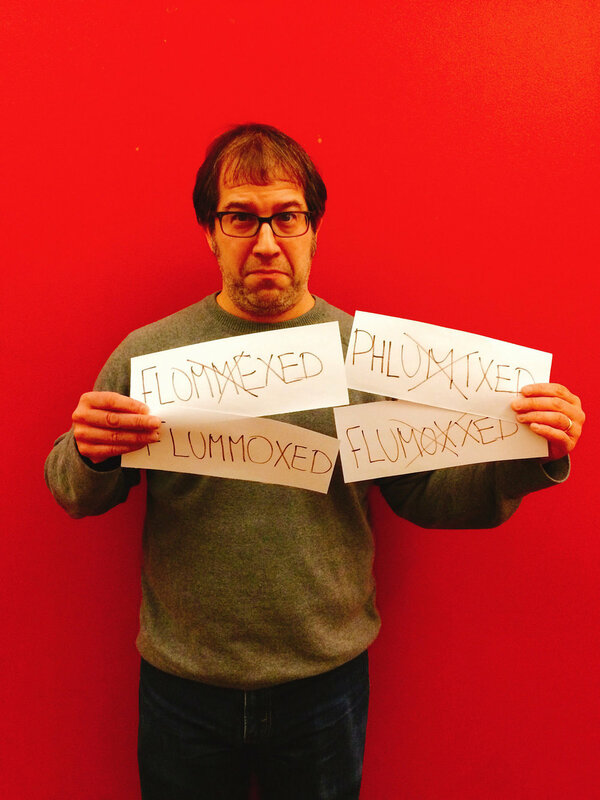 continues with a world of word play, including Word Art, Word Games, Word Puzzles, and Word Collecting. The interactive activities include lots and lots of family word fun with Anagrams and Palindromes, A BIG Crossword Puzzle, Translation Station, BIG Magnetic Poetry, Word Jumble, Visual Puns, Bookmaking, Read-Aloud and so much more! The Word Parade starts at 1 p.m. at the high school. 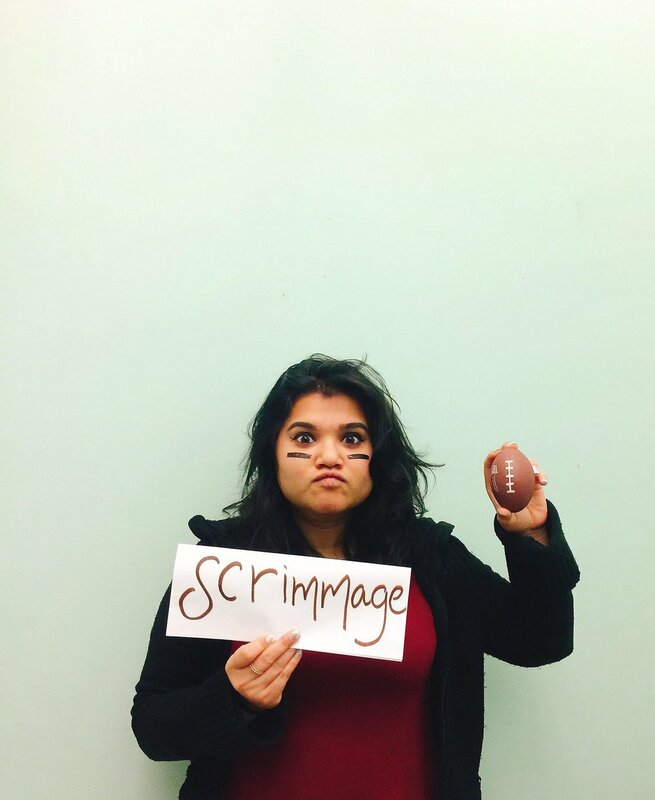 Come dressed as your favorite word, or wear a word! 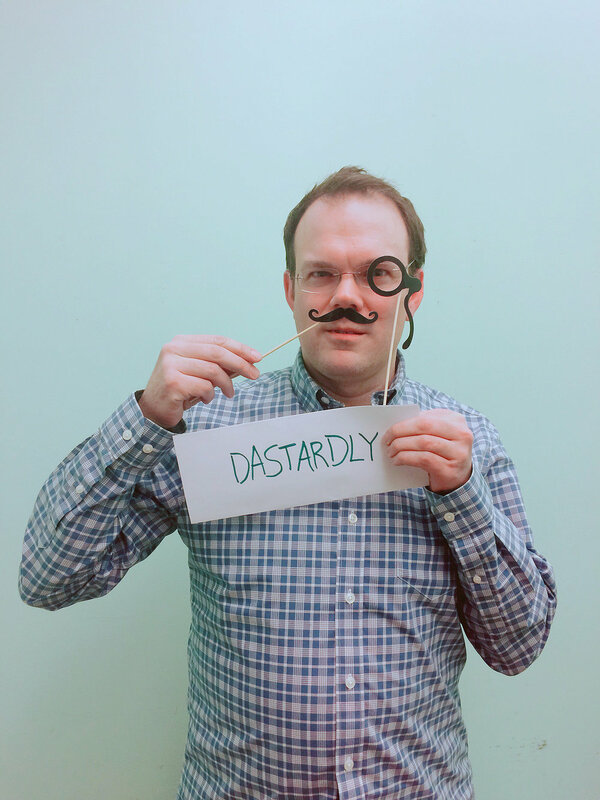 Admission: Your favorite word for the Community Word Wall. Special Invitation to Schools, Libraries, and Community Organizations! Children's Reading Connection is building this pilot intiative to share with others. Anyone interested in replicating The Word Collector Extravaganza for their community is invited to come to experience it first hand, and to learn how to create your own! The summer of 2018 was a busy one for Brigid Hubberman, President and CEO of Children’s Reading Connection, and The Word Collector super-fan. She recently wrapped up the pre-pilot of The Word Collector for All at the Community Unity Music Education Program (CUMEP) at Southside Community Center where every student received a copy of the book and participated in word collecting activities. "When Brigid Hubberman, the President and CEO of Children’s Reading Connection, found The Word Collector she knew she had discovered something special. 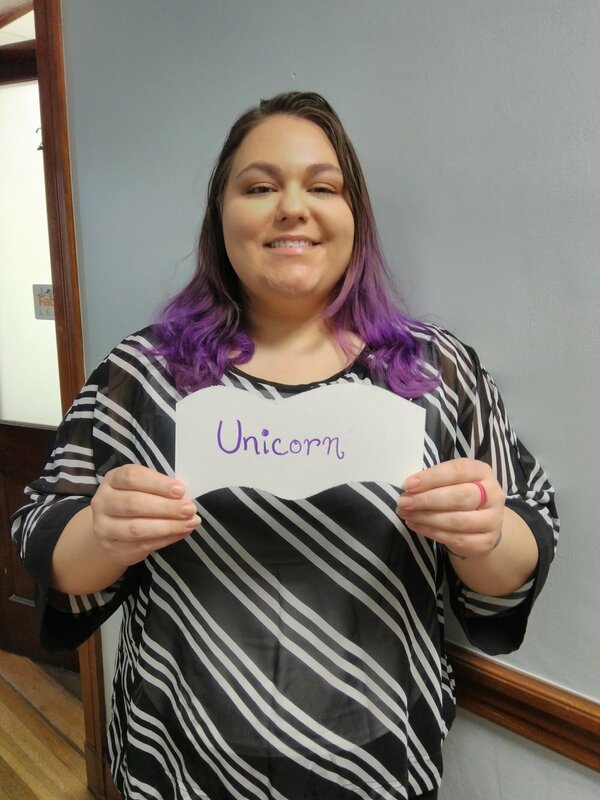 Her nonprofit organization helps communities build cultures of literacy, and what better place to start than with words, the building blocks of language? The book is the centerpiece to the collective’s new initiative The Word Collector for All, and the pre-pilot program has already launched here in Ithaca." Read more about the pre-pilot here.